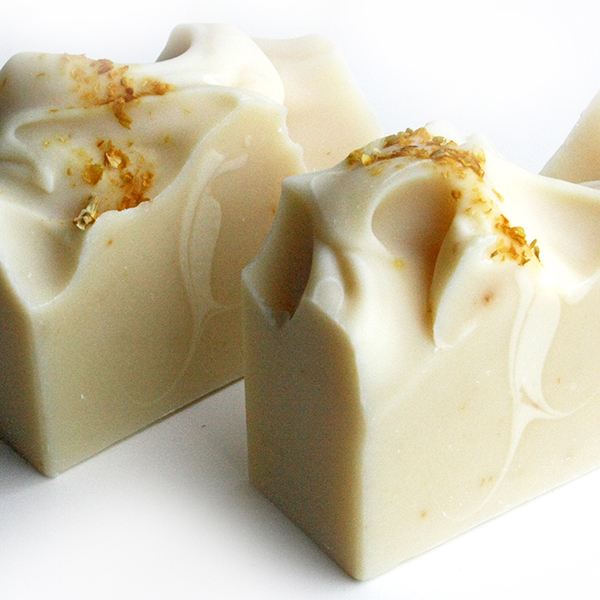 Goats Milk soap is the gentlest soap of all, and as it's so creamy and silky, it's also the most indulgent. Rich and luxurious, goats milk soap has a lovely, moisturising, conditioning, bubbly & creamy lather which is great for all skin types, but especially so for sensitive skin and it's so mild. Pure Goat's Milk adds natural proteins, vitamins, and minerals to soap. It's the only milk that is near the same PH as our skin, which is why it's so gentle. Ingredients: Saponified coconut oil, rice bran oil, olive oil (australian) and certified organic shea butter, pure goats milk, white oxide, and ground jasmine flowers. 125-135g.